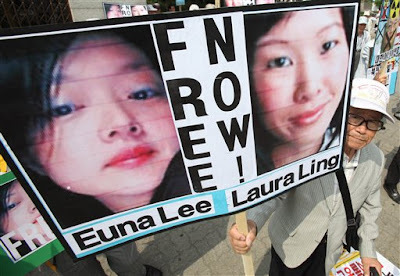 Euna Lee and Laura Ling have been sentenced to 12 years of hard labor for illegally entering North Korean territory, a verdict issued by North Korea’s highest court that is final and cannot be appealed. It is time for our government to step up and right this wrong: we need an envoy immediately. Do your part–email the State Department to step up negotiations now.